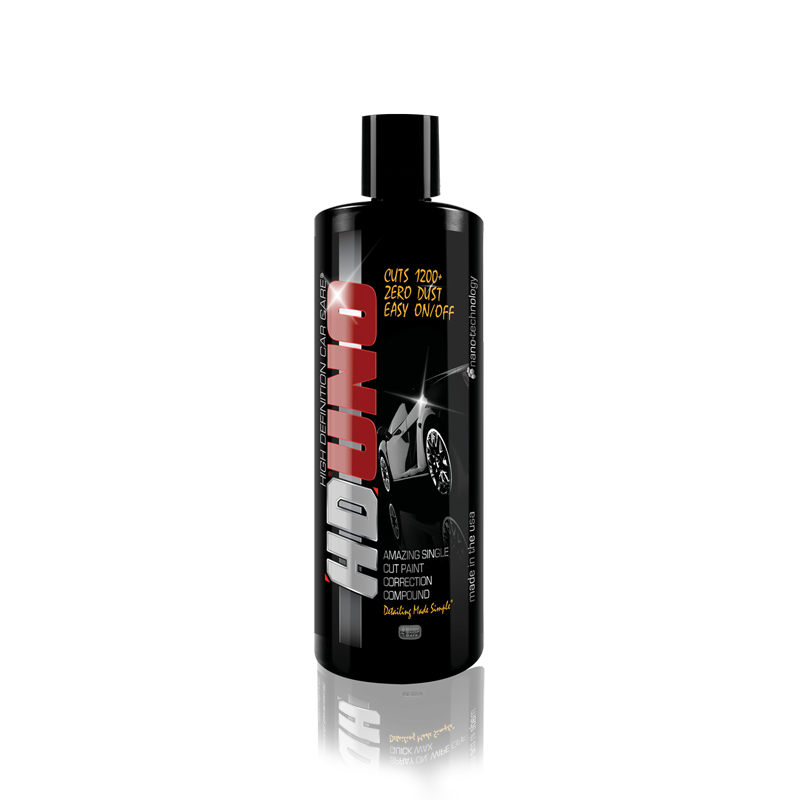 HD UNO s the latest in dual mode correction technology that can cut moderate paint defects such as deep car wash swirls, marring and oxidation all while producing a high polished finish. Specially engineered European Nano-abrasives & lubricants make defect correction and surface removal extremely easy. Achieve incredible results even in direct sunlight. HD UNO can be used with your choice of Rotary, Dual Action or Forced Rotation correction machines and will produce ZERO dust. Body Shop safe and contains no wax or fillers. HD UNO’s versatile non-diminishing abrasive technology allows the user the ability to control level of Cut & Polish by varying the pad type. No other polishing compound can deliver such a broad spectrum of capabilities. 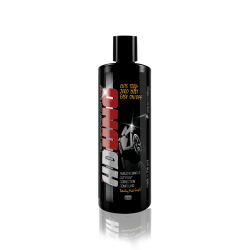 Can also be used on headlights, fiber glass, RV’s, boats, and airplanes. Safe to use on fresh paint.